Explorers will enjoy a different travel experience with each allotment, as no two will be the same. Still wondering how it all works? Read through Frequently Asked Questions. There are no membership fees or monthly dues. The only thing you pay for is the wine included in your allotment. The cost for each allotment is based on the Tier you selected and the wines included in a particular allotment. For more information on how costs may vary from allotment to allotment, see our Tier Descriptions below. Applicable taxes and shipping are also charged as part of the allotment cost. If you sign up in a release month (either April or October) you will receive your first allotment as soon as that month’s release is available. If you sign up the month before a release (in either March or September) you won’t receive your first allotment until the following month’s new release becomes available. If you sign up any other time (May through August or November through February) you will automatically receive our most recent release. We are currently able to accept membership applications for customers residing in any state listed in our VinoShipper profile. 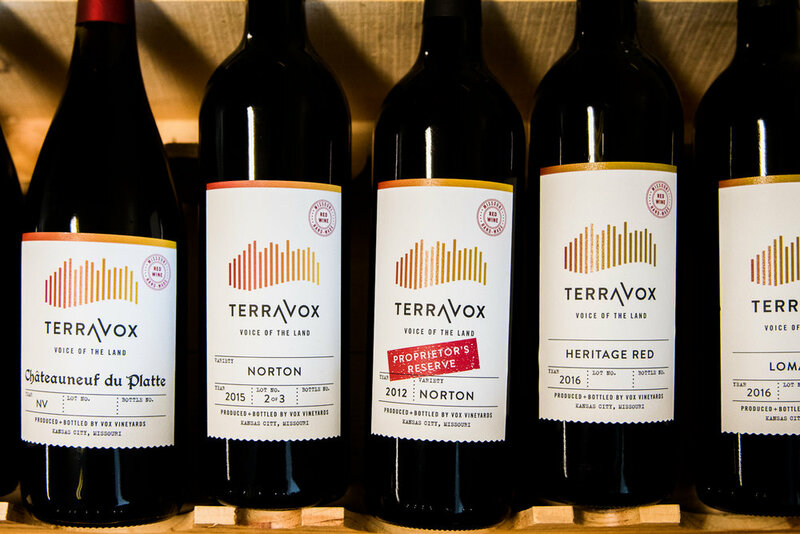 Please see www.voxvineyards.com/purchase for a current list of states. What are the membership tier options, and how much does each cost? Riley’s Circle – Three bottles per release, twice annually, approximately $100 per release. Munson’s Society – Our most popular tier. Six bottles per release, twice annually, approximately $200 per release. Jerry’s Juice – Twelve bottles per release, twice annually, approximately $400 per release. Explorer’s Club members receive a wide range of benefits which vary based on your membership tier. Complimentary tastings for member(s) and up to two non-member guests at our public Tasting Room in Weston, MO. One each per person per visit. Priority ticketing access to open winery events. Invitation to in-house calibration sessions (season-dependent and could include educational activities such as vineyard walks, barrel tastings, blending trials, and library exploration). Complimentary reception twice a year at allotment release time (April & October). Access to our Wine CSA Program. Complimentary tastings and tour by appointment at the Vineyard for member(s) and up to two non-member guests, up to once per month. Use of our Vineyard Kitchen and event space for privately hosted events, without the space fee (requires a minimum wine purchase for the event of 12 bottles; event must be scheduled in advance). Access to Vox’s allocation of complimentary off-site event tickets (first-reply, first-served basis; offers will be sent to members via email). Complimentary barrel tastings by appointment at the Vineyard for member(s) and up to two non-member guests, once per year. Complimentary in-home guided wine tastings for member(s) plus up to 15 additional guests, without the speaker fee (requires a minimum wine purchase for the tasting of 12 bottles; tasting must be scheduled in advance). Access to library wines and verticals. Invitation to our annual Proprietor’s Harvest Celebration with Jerry and staff. What is included with each allotment? Each allotment includes either three, six, or twelve hand-selected bottles of wine, as well as tasting notes and food pairing suggestions. Allotments can include limited release wines, as well as club-only offerings. Sometimes we may also include a poem, hand illustration, or one of our favorite recipes—try it out and let us know what you think! All member accounts will be automatically charged within two weeks prior to shipment/pick-up. We will bill the credit card we have on file for your account, and a notification of upcoming charges will be sent in advance. You will receive a second notice once packages are shipped or ready for pick up. In the event the card on file is expired or does not process payment, we will attempt to contact you by phone and/or email in order to resolve the issue. If we are unsuccessful in reaching you after three attempts, we will mail a written notice of inactive membership. Members with an inactive account will not receive member perks during period of inactivity. If at any time you would like to reinstate your membership, simply call us and we’ll be happy to re-activate your account. How can I make changes to my Explorer's Wine Club account? If you would like to change tiers or update your account with new information such as new billing or shipping address, new phone number(s) or email address(es), new credit card number or expiration date, ship or pick-up preference, simply give us a call at 816-354-4903 and we’re happy to help. HOw long does my Explorer's Wine Club membership last? Membership lasts for as long as you wish it to continue. If for any reason you need to cancel your membership, you may do so after your third allotment. You may cancel at any time with a 30-day notice, which must be provided in writing (emails are acceptable). Alternatively, if you would like to deactivate your account for a period of time due to travel or other circumstances, please give us a call. When you are ready to reinstate your membership, simply call us and we can re-activate your account. For account cancellations prior to the third allotment, a $50 cancellation fee will apply. Any cancellations after your third allotment are free of charge. Can my Explorer's Club benefits be extended to someone else? Club benefits are exclusive to the person’s or persons’ name(s) on the account. However, tasting benefits are available for up to four people, including the member(s), who must be present at the time of the tasting. How do we pick up our wines? We invite local members to pick up Explorer’s Club selections at the winery, and typically send out an invitation to a complimentary reception no less than two weeks in advance of the date. We kindly ask that you come within the first month of release to pick up your package. However, due to limited storage space, wines will be shipped automatically after two months, and your account will be charged for shipping. An adult (21 or older) must be present to sign for and accept packages containing alcoholic beverages. Can I have someone else pick up my wine for me? Yes, absolutely! Just be sure to give us a call with the name of the person picking up, prior to their arrival, so that we can make notes on your account. This person must be 21 years of age or older in order to receive the allotment on your behalf, and will need to sign a pick-up confirmation sheet at that time. We ship UPS Ground with an estimate of 5-7 business days for delivery. We are unable to ship to a P.O. Box APO/FPO, and an adult signature is required at the time of delivery. We strongly suggest you provide a business address for shipments if you are away from home during the day. Address changes MUST be received by us two weeks prior to shipping. If you are unable to sign for your wine package on any of the 3 delivery attempts, UPS will return your package to the nearest UPS store. You have the option to have your package held for pick-up or reshipped for an additional shipping fee. What if my shipment arrives broken or leaking? UPS usually catches any broken contents before it is sent to the receiver, however, if you do receive broken or leaking bottles in your shipment, please notify us and we will assist accordingly. What should I do if I believe one of my bottles is 'corked'? We use only natural cork and we expect that a small fraction of our bottles will exhibit cork “taint”. If you ever encounter a corked bottle of our wine, please contact us immediately. We will do our best to replace it with an identical wine (subject to availability), or we will provide you with a comparable alternative. What if I don't like the wine(s) selected for me? Our Winemaker hand selects a variety of wines that will have an appeal to most members. Due to inventory and varied wine prices, we are unable to substitute bottles. May we suggest that you at least give the Winemaker’s selections a try? Explore the new wine frontier with us, you may be pleasantly surprised! Vox Vineyards/TerraVox will never sell or share your personal information with any outside individuals or organizations. We maintain your personal information in a secure database, and will notify you immediately of any breach in our security. Should you ever discontinue your Explorer’s Wine Club membership, your credit card information will be purged from our database within five days. ready for a bottle now?